Cracked Black Pepper flavoured Sausalami. 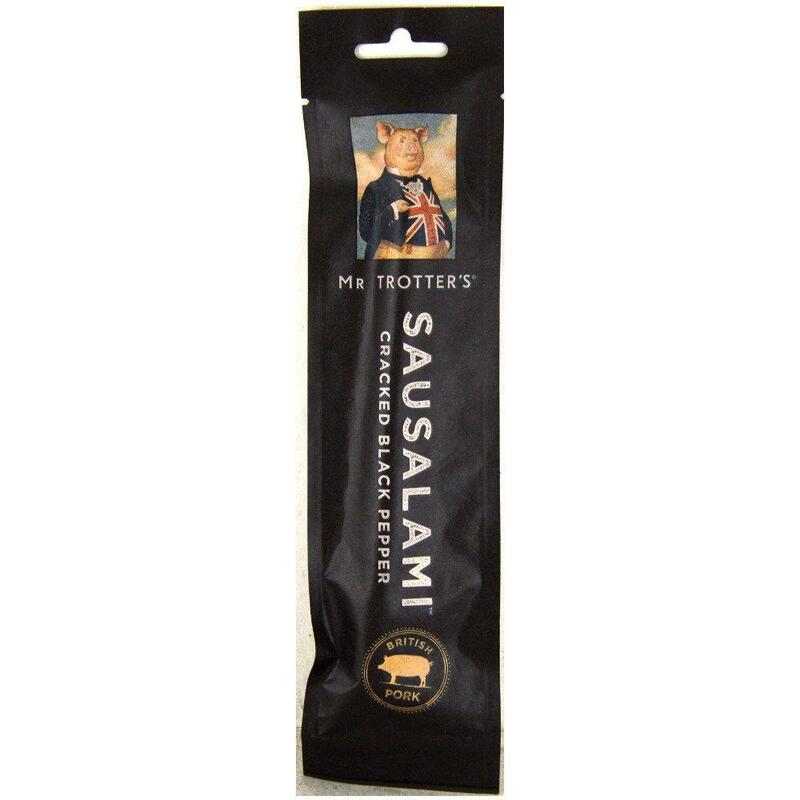 Made with the finest British pork and just enough of Mr Trotter’s special seasonings. Air-dried like a salami to give you easy eating – a great ‘on the go’, high protein snack.